FIu plays three game weekend at UAB starting today at 4pm. Saturday at 5pm and Sunday at 1pm. Took 2 out of 3. Lets see if this is the start. 2 of 3 with only loss a real close one, on a very solid outing by Allen. Hopefully it is a start to a good run! Nice sweep today of the doubleheader, in order to take the series. Good job! 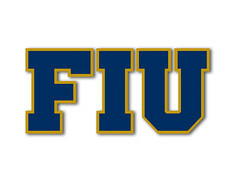 FIU wins series games 2 and 3. 6-4 and 3-0 respectively. On to baseball power, southern Miss this upcoming weekend.